This was the last challenge for nail art may on IG. I had been wanting to try these out for a while but was too scared. I thought I may aswell try it now though seeing as the challenge had come up. 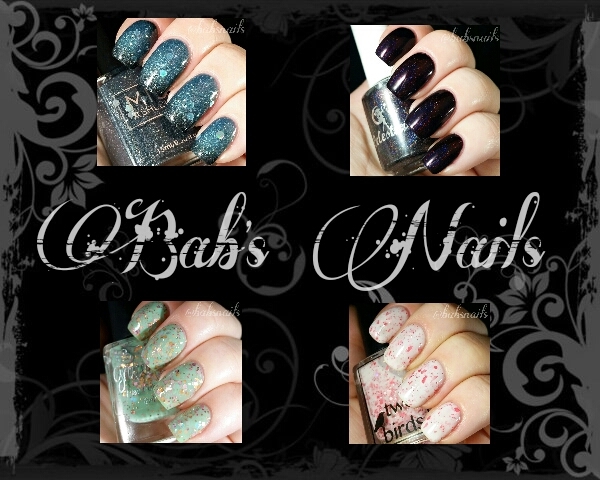 Here is a little pictorial of how I did them. □ Put on a base coat. I used G&G Stuck on blu! □ Apply your colour. I used 3 coats of Ulta3 Fairy Floss. □ With a fine brush draw a thick black line all the way around the border of your nail. Clean up any excess polish on the cuticle area. 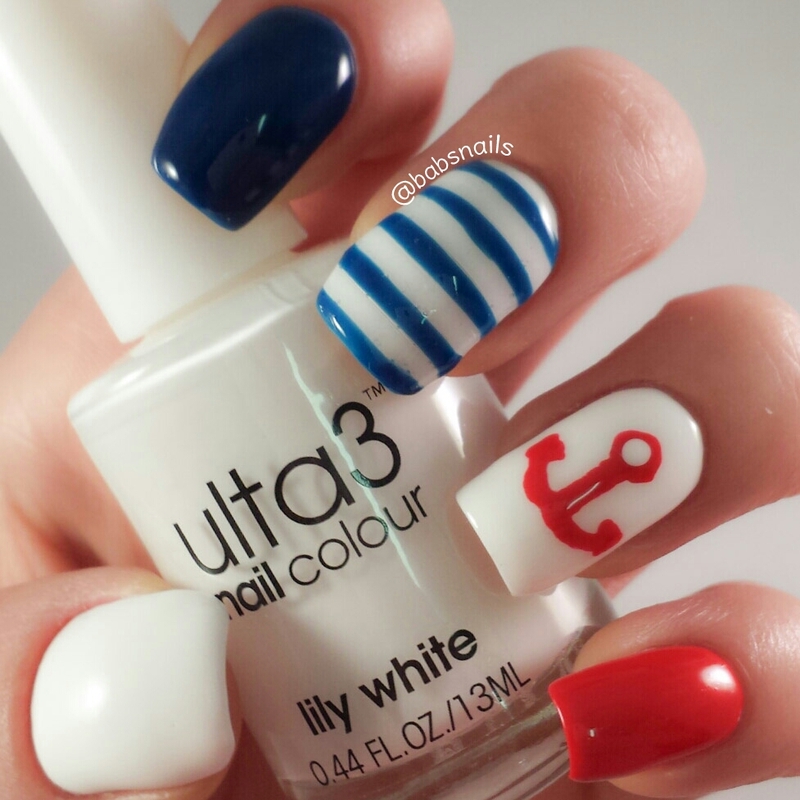 □ With a fine brush draw a white line up the side of your nail. Put a dot at the end of the line. □ Finish with a topcoat. I used HK Girl Topcoat. It definitely finishes off the look! A challenge from #nailartmay on Instagram. 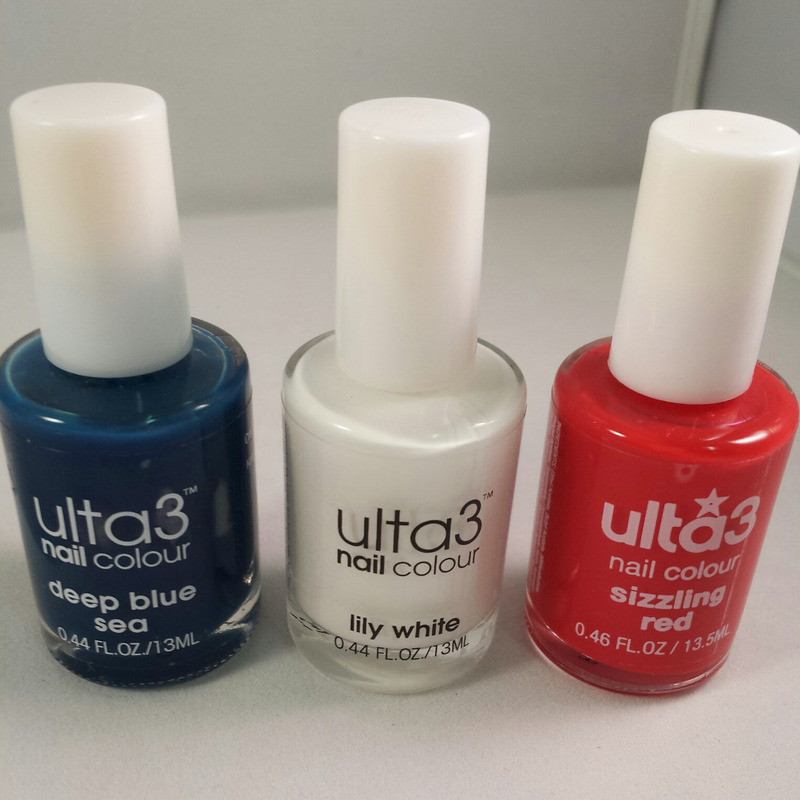 Colours used – Ulta3 Lily White, Deep Sea Blue & Sizzling Red. I started out with two coats of white for a base on all nails. 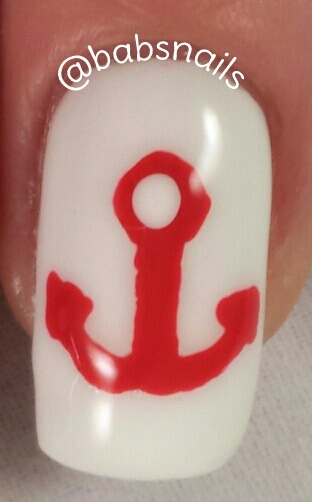 I then free handed an anchor in red with a small nail art brush. Was a bit tricky as i tend to be shaky when free handing! I then used Teismom nail vinyls for the stripes.I love those things! I had to lay the blue on pretty thick so it was opaque enough to match my pointer (which had 3 coats). I put two coats of red on my pinky and left my thumb white. All topped with G&G HK Girl Topcoat! 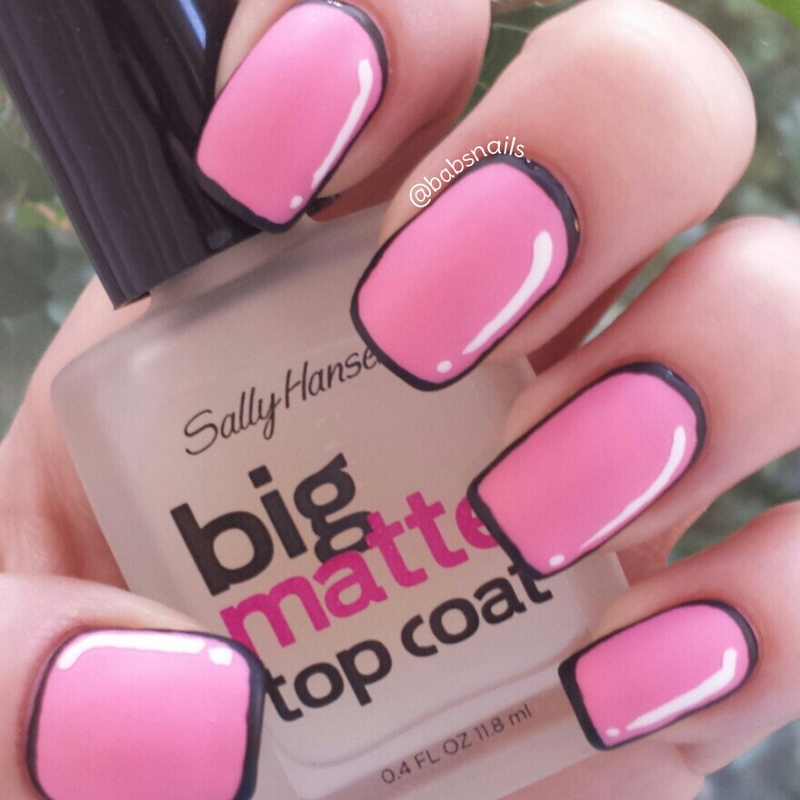 All in all a fairly simple yet good looking mani. 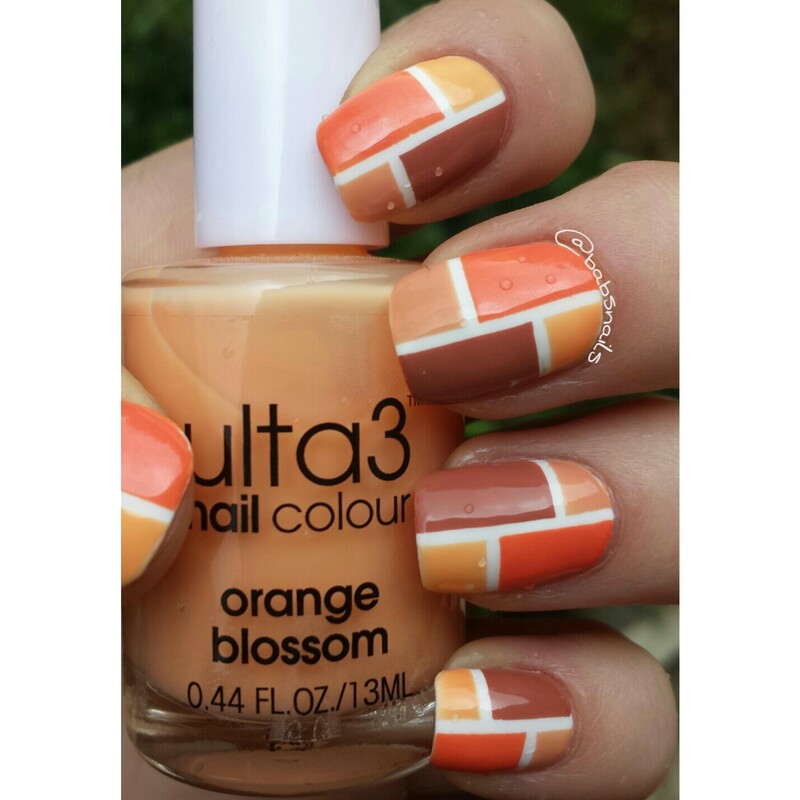 A fun and easy mani! I really love the colours I used in this. 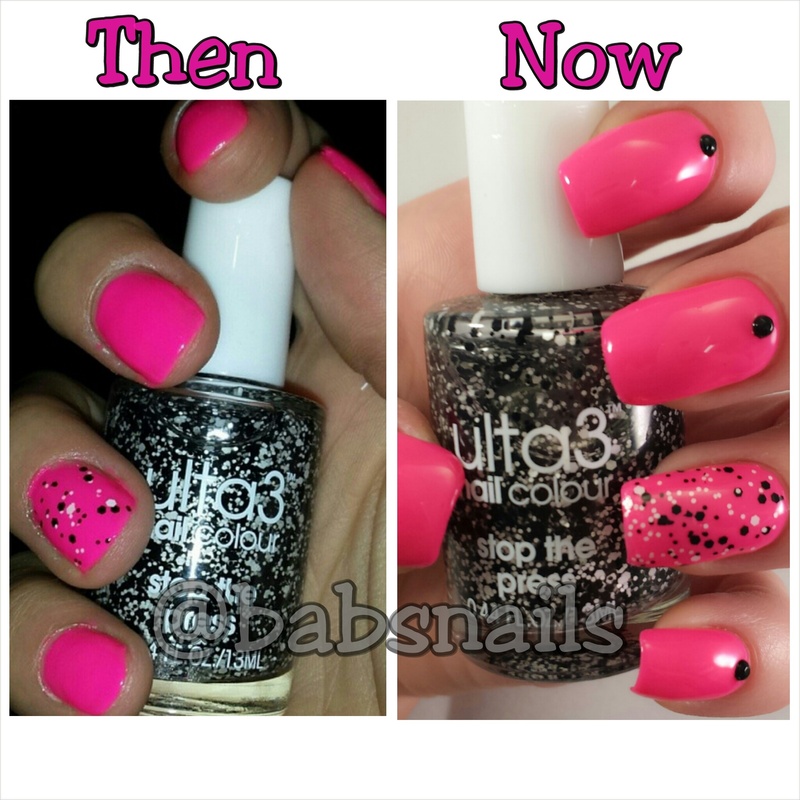 For this mani I put down a white base then used 3 peices of striping tape per finger to create some spaces. Top coated with G&G HK Girl. This mani wasnt really planned, I pretty much just made it up as I went along. 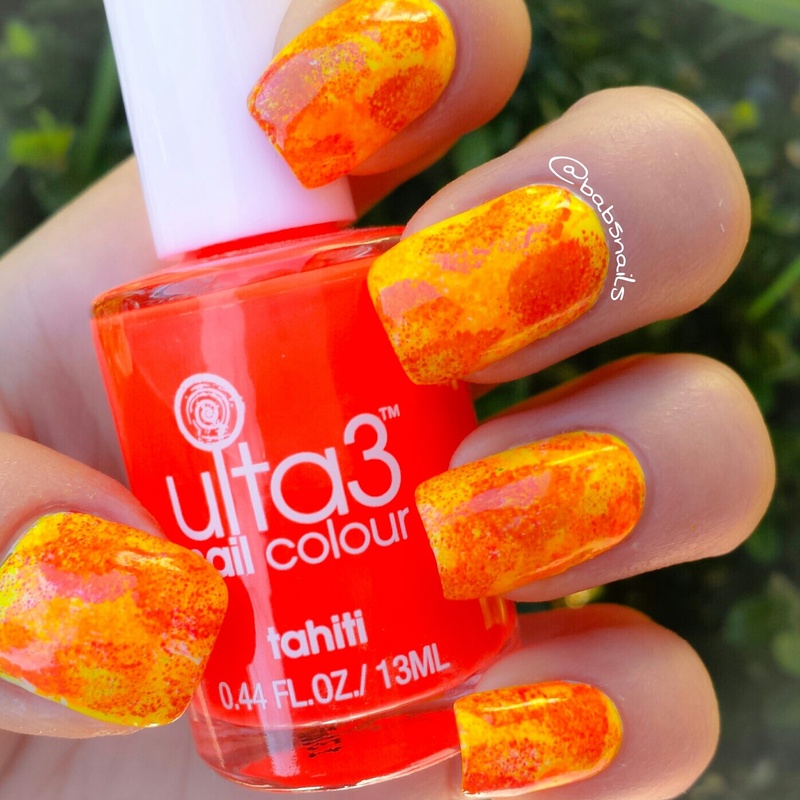 I then randomly sponged splotches of Ulta3 Sizzling Red, Tahiti & Frangipani. Once the top coat (G&G HK Girl) was dry I stamped using Moyou Pro Plate 02 and Ulta 3 Black Satin. 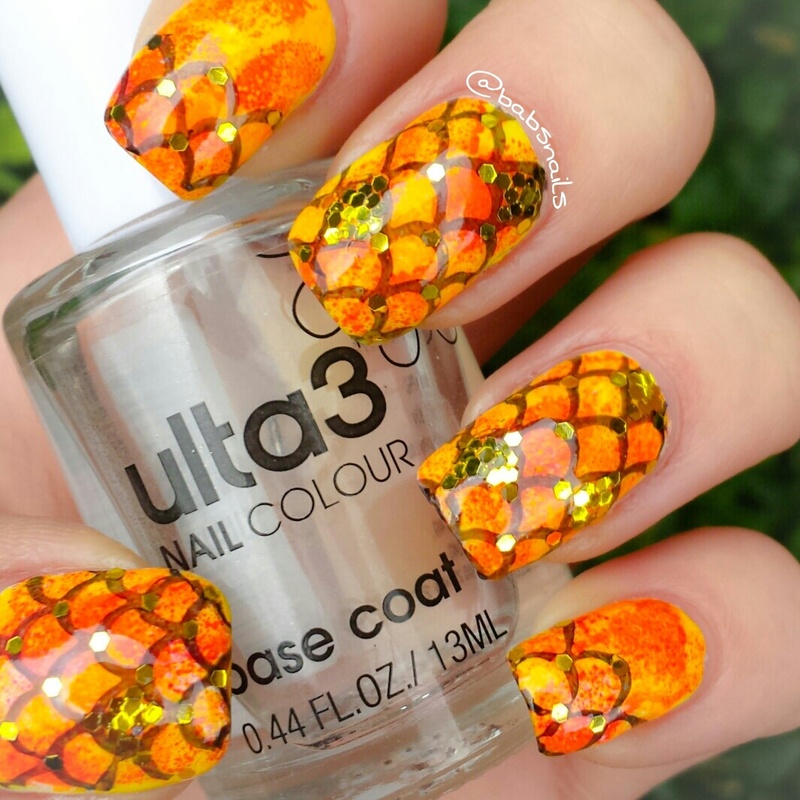 Once I realized the stamp resembled scales I got the idea to turn them into goldfish nails. I used small gold hexagon glitter and placed it filling in two of the scales on each finger. I also placed glitter on the joins in the scale pattern. Hope you like them! I’m very pleased with how they turned out!